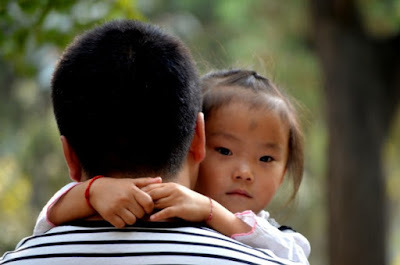 Being a father it was with some surprise that a day had been allotted to me/us many years back. It was as though through some political correctness that it would be fair. It has not stopped of course no doubt there will be cousins day, teachers day or even garbage operatives day to even things out eventually. It is commercial of course. Soon everyday of the years you will encouraged to buy a card or gift to make up for the fact that you don't really think of anybody. There are so many ways of showing your appreciation to those you love any day of the year without putting money in someone else's pocket. A beautiful tribute for all the brave fathers in the world. I enjoy reading this again & again, and for sure my dad would enjoy to read this too. Thanks for the poem, Pearl! Ah.. Fathers come in all forms, like mothers, and how the role and ideals have changed for fathers.. Here in Sweden both father and mother days are different, and it seems that fathers' day is more an opportunity to empty the stocks of ugly ties. wonderful words for the special day today!! Pearl, this is a BRILLIANT piece of work! Fathers in all of their manifestations. I especially love "those who are whispers in the rustling wind riding the wings of cardinals -" - that line alone is such an achievement! I love how inclusive this poem is, of the various types and degrees of fathers, each doing the best he could. I love the idea of honoring "the father we deserve to have"--a re-fathering of self! Pearl this is a beautiful tribute....I was lucky to have a wonderful father who loved and gave unconditionally. Thank you for this fabulous poem. "Honor the father that you deserved to have"---this is such an insightful line as so many have not been "fortunate to have been so bestowed"--what a poignant way to reclaim this day if it is a difficult one for some. I was lucky to have a fantastic father, but didn't choose so well for my own children...they definitely deserved better. This is beautiful. I like this, Pearl. I agree with all you have said. I especially like the idea of honoring the father you deserved to have! But all of your words here are wise. A very accepting and open view of fathers and all they do in our lives. I love your thoughts here. Honor the father you wish for. I really appreciate this poem, it touches my heart. I see undertones of forgiveness, and letting go of fathers who were not ideal, as well as acknowledgment of those fathers who strive to do their best. This is the best father's day poem I've ever read.